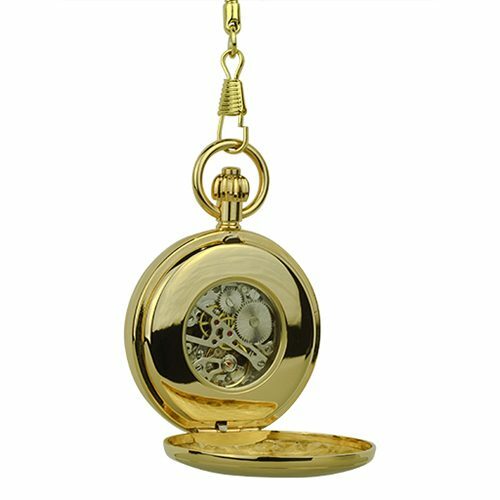 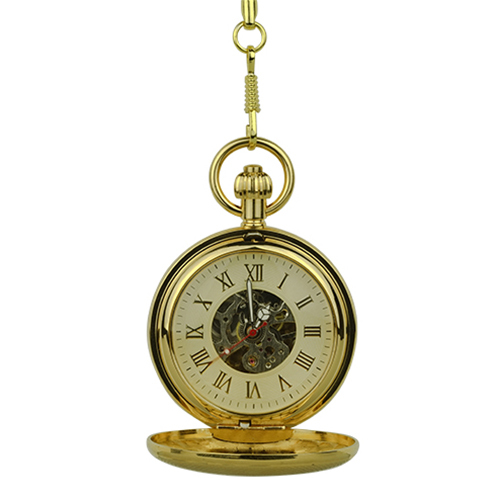 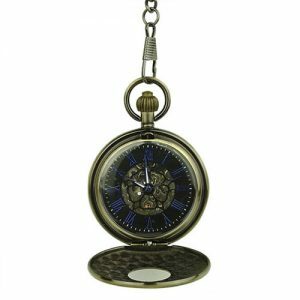 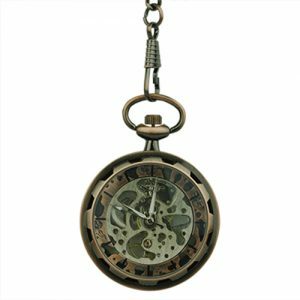 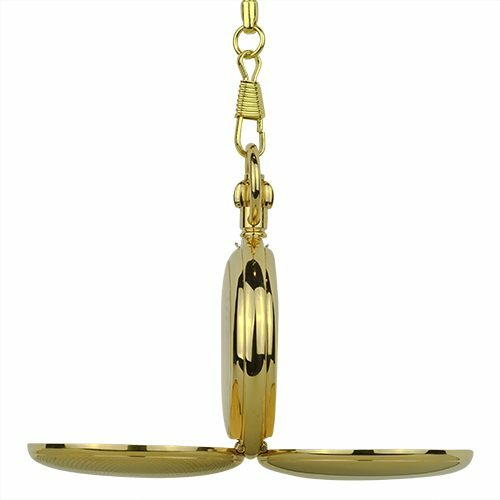 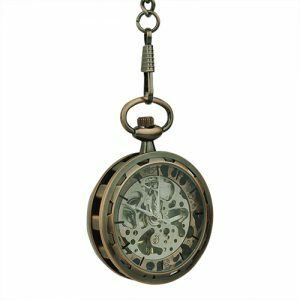 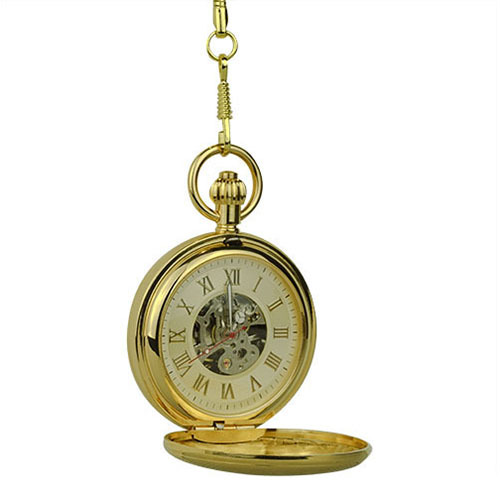 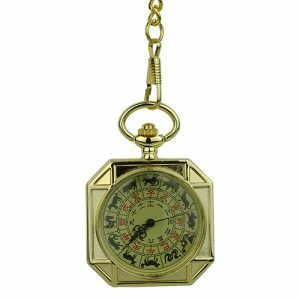 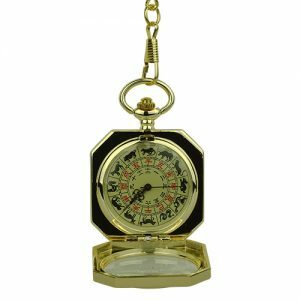 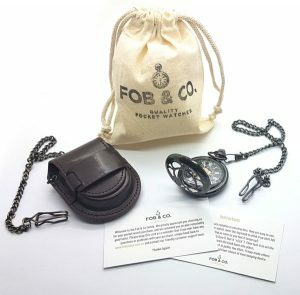 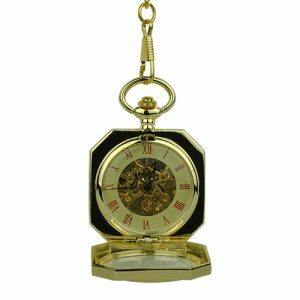 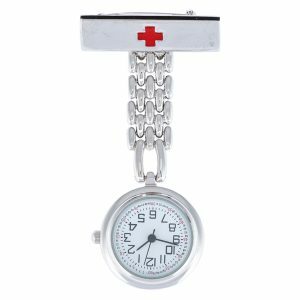 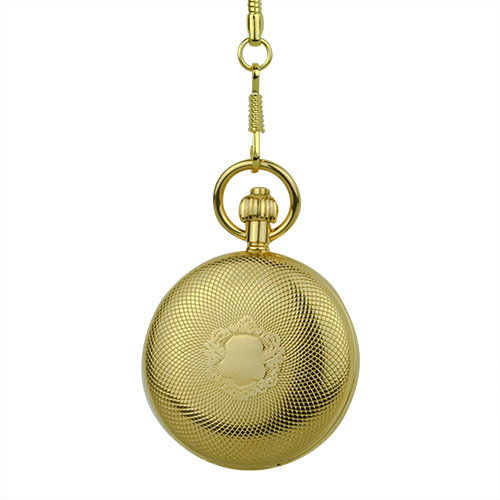 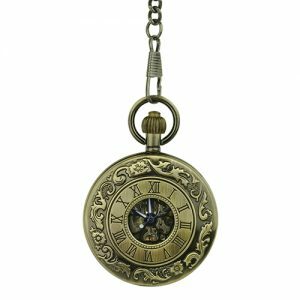 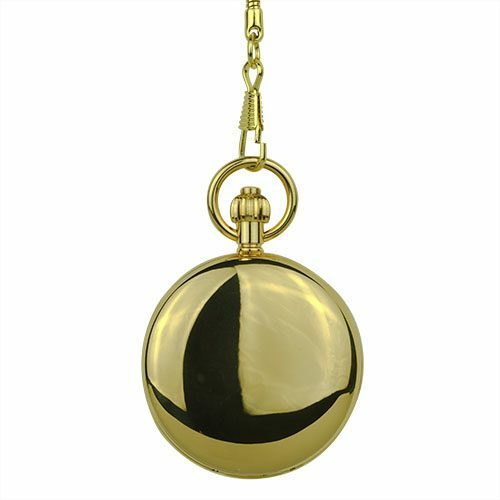 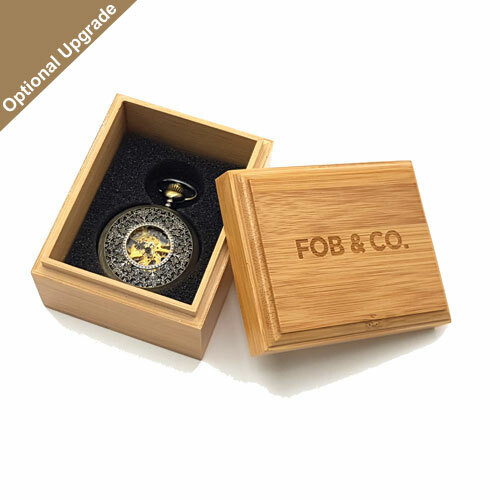 Lustrous Gold Tone Dome Double Hunter Fob Watch - Fob & Co.
Update any look effortlessly with the addition of a handsome pocket watch that that features a bevy of overlapping spheres for an eye-catching look. 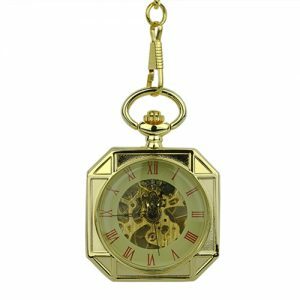 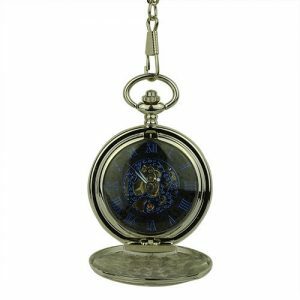 Open this pocket watch to see that it is crafted in a brilliant gold finish displaying gold Roman numerals on a white ring that is highlighted by a silver skeleton. 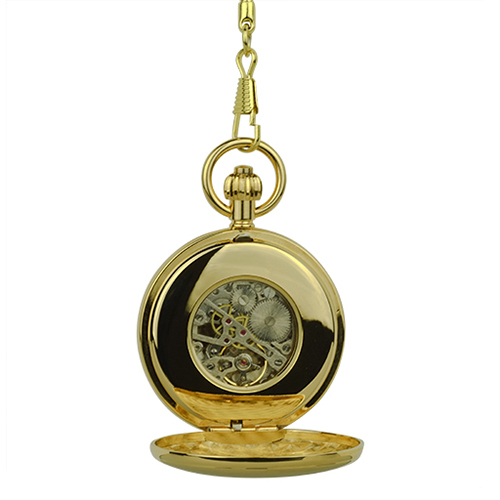 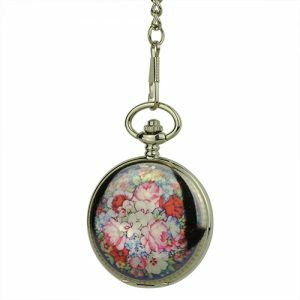 Check out the rear view to get another glimpse to the inner workings of this handsome pocket watch.